Organisation : Backward Classes Welfare Department, West Bengal. You have to follow the below steps to Track your Scholarship Application Status, Choose district where your institution is located. Step 4 : Enter The Text In The Box Below. Step 5 : Click on the “Check Status” button. The objective of the scheme is to provide financial assistance to the Scheduled Castes and Scheduled Tribe students studying at post matriculation or post secondary stages to enable them to complete their education. The Income ceiling of parents/guardian has recently been enhanced from Rs. 2, 00,000/- p.a. to Rs. 2, 50,000/- p.a. Under this scheme, each eligible student whose parents /guardians income does not exceed Rs. two lakh p.a. is paid through respective Bank account in the following manner. Student are requested to Update their Adhaar number. Adhoc Grant –Rs. 1000/- p.a. Adhoc Grant Rs. 750/- p.a. 1. My application I’d is WB010218100226. Till now I did not get my scholarship. When will I get my scholarship? Student are requested to seed their aadhaar number with their bank account. 2. How can I check my scholarship status? Please explain in detail. ** You can view the web page. In that web page you can see a option called “Track an Application”. ** Select that option, A new page will open in that mention your district and check your scholarship status. How to re-upload Aadhar details? My application ID is WB010208246373. Status is, My application is verified by district and sanctioned by state. Lot Number is 5116/BCWTDS and dated 12.03.2019 (Dictrict-BIRBHUM). My bank branch is changed. Please send my scholarship to my new branch. I am an ITI student. My application ID is WB030214268198. My application is verified by district and waiting for disbursement. I have submitted my application on 30/09/2018. When will the scholarship amount be credited in my bank account? My application ID is WB010217428129 and Session is 2017-2018. My application is finally verified by district but it is pending for disbursement for past 4-5 months. Now what will I do? PLEASE HELP ME TO GET MY SCHOLARSHIP AMOUNT. My application ID is WB01020256070. Status is application verified by district and waiting. When I will get my scholarship? My application ID is WB010223258276. I am from Jhargram. When I checked my status it shows last 2 months that “your application is verified by district and awaiting for disbursement”. But I have not received any scholarship where my others friends have received money already. Please solve my problem as early as possible. I am a student of B.Ed 2nd semester. I have not got my scholarship of B.Ed 1st semester. According to the site my application is verified by district and sanctioned by state. Lot Number is 5029/BCWTDS and dated 06/07/2018 (District :PASCHIM MEDINIPUR). Please solve my problem and send my OBC scholarship amount. Because my financial condition is very poor. My renewal application number is WB030222316932. The status is showing “Your application is verified by District and Waiting for Lot number” from last 1 Month and 15 days. While all the students of my block have received the amount. What should I do? I am from Malda and a student of B.Tech 2nd year. My scholarship status shows “Your application is verified by district and sanctioned by state” with some lot number that I can’t remember now and it is dated as 25/01/2019. But I haven’t received no money yet. Can you help me with information regarding when I am going to receive the scholarship and whether linking the Adhaar to the bank account is mandatory to avail it? I am a Diploma engineering student and staying in college hostel. I have applied for OASIS and got verified. When will I get the scholarship? My application number is WB010212241310 (2018-2019), District Purulia. I have not got my scholarship. When I check the status shows “your application is verified by district and awaiting for disturbance”. Please help me. Today I have received a message from HP-WBIFMS, that my claim of Rupees 1500 is released from berhamport-1 Treasury and is scheduled to be credited to bank a/c xxxxxxxxxx2962 on 13/12/18. The given bank account number is not mine. Please pay my money in my account. I need scholarship. I am from North 24 Parganas, West Bengal and oasis scholarship application date is expired. After complete my graduation, now I am studying ITI. So I need scholarship. My caste is SC. How can I get it? My application number is WB030204410033 and session is 2017-2018. When I check the status,it shows “your application is pending at (Bishnupur-II Development Block) level and Hard copy not received. Please help me to get my scholarship amount because my financial condition is very poor. This scholarship amount is very important to me for higher education. I am a student of B.A 2nd year now. But I have not got my scholarship of 12th class and B.A 1st year. My application ID is WB010201362072. According to site, my application is verified by district and sanctioned by state. Lot number is 5130/BCWDS and dated 06/03/2016. Please help me get my scholarship. My application number is WB030206284491 and session is 2017-2018. When I check my application status, it shows ‘Your Application is pending at District level’. Now, What should I do? I am a new user of the scheme. I filled all information about myself, but unfortunately my computer became shutdown and at last I am unable to submit my application.I re-entered my application but the scheme is showing already registered. My application ID is WB1801OBC201202559. Now what shall I do , please inform me and give me a proper suggestion for which I am able to success. My application/user ID is WB010203110271. I applied for scholarship. My mother is a maid servant. We are very poor. My application status is shown “LOCK’. If I not got this scholarship then I will not continue my study. Please unlock my application. I want to register as I am applying for the first time but I filled the form this “view certificate details” comes, So I viewed and put information about my certificate but it won’t proceed further, how can I do my registration if not so? My ID is WB010218142387 and my lot number is GO.NO 5130/BCWTDS. I also visited in your office and they told me that, within 15 days you will get your money. But 20 days later, I went to the office again but they told me that ‘it was not their responsibility to give me money’. They also suggest me to go my bank. But bank refused me to tell that if the authority send money then I will get that. But I still have not get my money. Why the authority is harassing me. I am a very poor medical student. I am really tired to running between this process. So if you kindly look into this matter and give my money. So,I will be very obliged for it. My application ID is WB030204408481 and my application session is 2017-2018. Though the submission of my application was more than one year but I haven’t got scholarship till today. After checking the status in your website there is a statement which is “your application is verified by district and awaiting for disbursement”. When will I get my scholarship? Only for this reason I can not buy books for my masters. My family condition is not so bright. Please help me. My application ID is WB040207296011. I have not got the OBC scholarship for the session 2017-18. When I check the application status, its showing ‘application is pending at municipality (hard copy not received)’. I have submitted all the hard copies. What shall I do? Please give answer. I am not getting my scholarship. It shows my application is verified and waiting for lot number. Please help me to get my scholarship. Do you received it? Because same is showing for me now for academic year 18-19. I have not got my scholarship yet. My ID Number is WB010218117473. My status shows “Your application is verified by district and sanctioned by state” (Lot No:5001/BCWTDS/-27/04/18/1 District: Kolkata). Please send my scholarship. My application number is WB040201382179. I have not got the OBC scholarship for session 2016-2017 yet. When I check the status, it shows, ‘Your application is pending at Khardaha Municipality Level and Hard Copy Not Received’. Please help me to get my scholarship amount because my financial condition is very poor. development block level and Hard copy not received’. Please help me to get my scholarship amount because my financial condition is very poor. My application number is WB010108196223 and session is 2017-2018. When I check the status, it shows ‘your applications pending at Pathar Pratima development block level and Hard copy not received’. Please help me to get my scholarship amount because my financial condition is very poor. My application number is WB01010491673 and session is 2017-2018. When I check the status, it shows ‘your applications pending at pathar pratima development block level and Hard copy not received’. Please help me to get my scholarship amount because my financial condition is very poor. My application number is WB010205198340. I have not get the SC scholarship for session 2016-2017 yet. When I check the status, it shows, ‘Your application is pending at Kalyani Municipality Level and Hard Copy Not Received’. Please help me to get my scholarship amount because my financial condition is very poor. My application user ID is WB010113128853 and my application status shows, Your Application is verified by district and waiting for lot Number. Please send the amount soon, My district is Jalpaiguri. It is very urgent, please help me. My user ID is WB1020376571. I can’t get my scholarship, please help me. Now I am a student of Diploma Mechanical 2nd year. But I did not get 1st year’s scholarship. I also applied on 2nd year but I am not getting the scholarship this year also. Please Help me. My application ID is WBO1O1O4133013. I checked my scholarship status in governmental website and there was my application of scholarship is verified and sanctioned by state. But I have not received my money in my bank account. I already linked my Aadhar number. Please help to solve this problem. My application ID is WB01021873654. 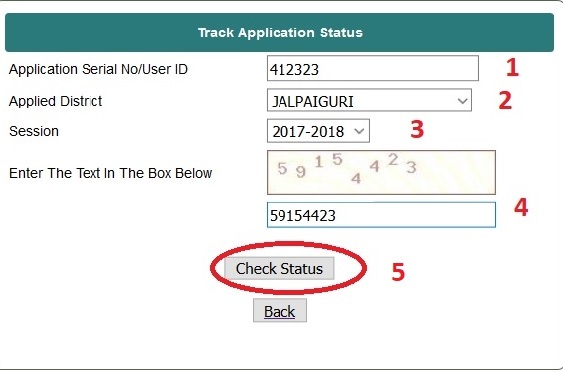 My 2017-2018 application status shows, it is verified by district and waiting for lot number. When I can receive the money? I am belonging from very poor background. My father is retired now. So please help me. Otherwise I will face major consequences. I read BCA first year in Brainware university. My application ID is WB040201349602. I applied for post matric scholarship under district north 24 parganas. Please send my scholarship because my financial condition is very poor. My application is verified by district. My application from has submitted by 30/09/2017. When I will get my scholarship? My user ID is WB030222310082. MY UCO Bank has been merged with the another UCO bank (MB LANE Branch). My branch manager is saying, your scholarship amount will not be credited due to the change of IFSC CODE. I want to change of my IFSC CODE in the application form. What should I do? My application number is WB01020445361. I didn’t get 2016-2017 session SC scholarship. When I check the status, it shows, Your application is verified by district and waiting for lot number. I also tried contact your helpline number but when I contact your helpline number then always your helpline number was switch off. I belong in a poor family my financial condition is not good. My studies fess totally depends on this scholarship. I am a student of B.Tech from Kolkata. I applied for the scholarship in Session 2016-17 & 2017-18 . Still I did not received the scholarship for last year. Status shows “Your Application is verified and waiting for lot number”. My Application ID is WB01021874196. Please solve my problem and send me scholarship. Because my family is in very bad condition. My application ID is WB010207245517 and my application session is 2016-2017. Though the submission of my application was more than one year but I haven’t got any scholarship till today. After checking the status in your website there is a statement which is “your application is verified by district and awaiting for disbursement”. When will I get my scholarship? My application ID is WB010206269823 and my application session is 2016-2017. Though the submission of my application was more than one year but I haven’t got any scholarship till today. After checking the status in your website there is a statement which is “your application is verified by district and awaiting for disbursement”. When will I get my scholarship? My application ID is WB010201357174 and my application session is 2016-2017. Though the submission of my application was more than one year but I haven’t got no scholarship till today. After checking the status in your website there is a statement which is “your application is verified by district and awaiting for disbursement”. When will I get my scholarship? Only for this reason I can not buy books for my masters. My family condition is not so bright. Please help me. I have not got my scholarship yet. My ID Number is WB010207202846. My status shows “Your application is verified by district and sanctioned by state (Lot No:5083/BCWTDS/16-17 District: Purba Burdwan). Please send my scholarship. I have not get my scholarship yet. My ID Number is WB010218126798. My status shows “Your application is verified by district and sanctioned by state (Lot No:5083/BCWTDS Dt-/District: kolkata). Please send my scholarship. I did not get any amount till now. Please send amount as soon as possible. Practically I need money for my future career. Many students(SC category maximum 70% not received our money) has a same problem that “YOUR APPLICATION IS VERIFIED BY THE DISTRICT WAITING FOR LOT NUMBER”. Why are you not sending money when our application is totally right? I am genuine candidate. I am a student of BA 2nd year, cast sc. My application number is WB01011612234. Please send money otherwise I will do a complaint about you. Please send money for the session of 2016 -2017. Other side the next session of 2017-2018 is already started but we did not received our previous scholarship. From last 2 month, I am trying to fill up the online application form, but the name of my college ‘Gokhale Memorial Girls’ College’ is not mentioned in the list of institution’s name. So I am not not being able to apply for the scholarship. What can I do now? My application number is WB010201375589my and name is Jui Majumder. My status is, “Application is verified by district and and waiting for lot number” Please send my scholarships. Because my financial condition is very poor. I am Probhakar Mondal from Jalpaiguri district and my application ID is WB01021396856 and I haven’t get my scholarship whereas some of my fellow members already got their scholarship. Can anyone help me one this? My application user ID is WB01020277675 & session is 2016-2017. My application status shows your application is verified by district and waiting for lot number. Please send my scholarship because my family financial condition is very poor. I have not get my scholarship yet. My ID Number is wb01021865611. My status shows “Your applications verified by district level and waiting for lot number”. Please send my scholarship because my family financial condition is very poor. My cast certificate number is 1294. I applied session 15-16. I forgot past year application number. I tried to create my new ID. But showing phone number and cast certificate is already registered. Please help to create my new id. I tried to call helpline number but all time busy. Please do help. This has further reference to our earlier letter CUK/SC-ST/WB/D3367 dated 25.09.2017 regarding SC/ST/OBC post matric scholarship for the students belong to the state of West Bengal. Central University of Kerala is established under the Act of Parliament in 2009 and is coming under the Ministry of Human Resources Development, Govt. of India. As per instruction received from your office under reference number 1172(P)BCWD/178 dated 27.04.2016, the SC/ST/OBC students from West Bengal who studying in Central University of Kerala tried to apply online through the scholarship portal oasis.gov.in but they are not able to apply online since the name of the Central University of Kerala is not enlisted in the above scholarship portal. Students say that the name of the Central Universities of Punjab, Haryana, Jharkhand etc which were established under the same Act of Parliament, are enlisted in the above portal. Hence we hereby request your good self to take necessary steps to enlist the name of the Central University of Kerala in the above scholarship portal so that the eligible students can avail their scholarship in time. My SC application id is WB01021857628. Application status of 2016-17 is verified by district and waiting for lot number since 6-7 months. Is there any thing wrong in my application form? Please tell me how much do I have to wait? This scholarship is very important to me. Without this I can’t continue my study. It’s a humble request. Please understand our problem and do something for us asap. MY ID IS WB010205213158 for the year 2016-17. It always shows Status as Your Application is verified by district and sanctioned by state. So please send the mummy so that I continue studies. Because my family condition is very poor. When will I get my scholarship? I did not got my scholarship of 1st year. My scholarship has been passed. My application id is WB040201331385. I belong to North 24 Pargana. Status of the application: Application is verified by district and sanctioned by the state (lot no-5018/BCWDS) dated 15/06/2016/district 24 pargana. Please give me scholarship. I don’t pay my semester fees. Rathindra Nath Biswas from nadia. I am studying B.Ed. I did not get my stipend till now. I did not get my lot number. I have gotten my stipend last year 2016. Now you are requested to get my stipend. Then I shall be highly obliged to continue my further studying. My application number is WB030214177891. My application is verified by the district but pending at state level. This process is running since 5/6 months. So when will I get my scholarship? I belong to a poor family. I request you to kindly grant my scholarship in my account. Please give me money. My application id is WB010208172640. Please send my scholarship. The next session form fill up is starting and going on. But I can not received the previous one. Though I am a student, it is very much difficult for me to continue my study. We know very well that this scholarship is only for them who can not enough money to study. But the authority, you should take step on this. My id is successfully verified but my savings bank account is totally stopped. I want your to add to my new account number. How is it possible? My id is WB010213192072. 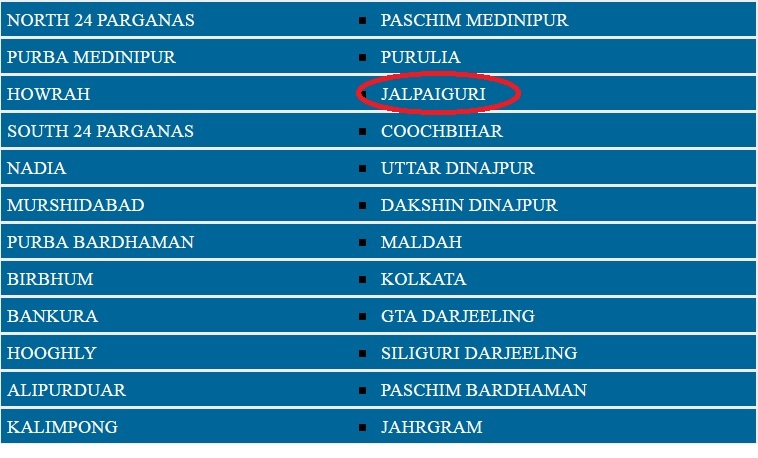 I belong to Jalpaiguri District. My Application number is WB010210181280 (2016-17). But yet I have not received my scholarship. Therefore I request you kindly tp look into my matter and grant my scholarship at the earliest. My application id is wb040208160839 and status is your application is verified by district and sanctioned by state (Lot no:5005/BCWTDS dated-12-05-2017/District:Birbhum). I came from a very poor family. Please send my scholarship otherwise I could not continue my study. Please help me. I applied a form of scholarship in 2016 for session 2016-2017. My session started on September 2016. I got admitted for lateral entry in mechanical engineering. My session ended in June. And again my college session will be started from July. When will I get the money? My application Id is WB04021492555. My lot number is 5075/BCWDS. My application was verified on 16/03/2017. Till now I didn’t get the scholarship funds. Please help me in getting the funds. My application Id is WB010207287184. I have been checking my application status since last month. My application status shows that “Application has been verified, waiting for disbursement”. Till now I didn’t receive the amount. Please help me. MY APPLICATION ID IS WB030206157928. IT IS SHOWING THAT MY APPLICATION IS VERIFIED BY DISTRICT AND SANCTIONED BY STATE. LOT NUMBER IS 647/BCW/MSD DATE 28-07-2015. WHEN WILL I GET MY SCHOLARSHIP? Today I have received a message from HP-WBIFMS, that my scholarship amount of Rupees 10000 is released from burdwan-1 Treasury and is scheduled to be credited to bank a/c xxxxxxxxxx9602 on 27/03/17. The given bank account number is not mine. Please pay my scholarship money in my account. My application status shows that my application has been verified in District level and waiting for lot number. When will I get the lot number? When will I get the scholarship amount? Today I have received a message from HP-WBIFMS, that my scholarship amount of Rupees 10000 is released from burdwan-1 Treasury and is scheduled to be credited to bank a/c xxxxxxxxxx1668 on 27/03/17. The given bank account number is not mine. My question is that yet I have not got my 2015-16 scholarship and 2016-17 scholarship. This amount, which is said to be released is for which year? Please let me know. I am a student of Assam engineering college, Jalukbari, Guwahati, pursuing my Bachelor of Engineering, 2013-2017 batch. I have applied for this National Scholarship last year but did not get the amount till now. I belong to ST category. Will you please let me know about it? When will we get the scholarship ? Can anyone tell me? When I will get my Stipend? Status showing Pending at District level from last 3 months Season 2016-17. How much time it will take more? I am very poor & my parent cant afford the money of my college fees without the scholarship. Kindly help me soon. My application Id is WB 030215215779 for the session 2016-17 and DOB is 13/05/1992. My application do not show any status. I am a very poor student beside physically handicapped. This scholarship is very important to me. Dear Rangu Md as per status, its showing Your Application have objection (Islampur Development Block) Level. DAUABLE APPLY OASIS. I have a question to you, Did you apply 2 times for the scholarship? If not, then then is something mishappening which will settled shortly. I have transferred my SBI bank account to a new SBI branch. But the account no. remain unchanged except branch code and IFSC code. I have provided the bank details of previous branch. Will I get money? If no, please tell me what I should do. I didn’t receive 2015-16 session scholarship. Will I get the money? My registration number is WB01020350690. It is showing sanctioned from last one month. When will the post matric SC scholarship amount of “Lot No:-/BCWDS/BDN/15-16/District:-BARDHAMAN” for the session 2015-16 be sent to our bank account? It is already a year. We need it for readmission. Please do reply as I am out of state candidate. When will the post matric SC scholarship amount of “Lot No:-/BCWDS/BDN/15-16/District:-BARDHAMAN” for the session 2015-16 be sent to our bank account? It is already a year! We need it for readmission. Kindly Response as I am out of state candidate! YOU GO FIRST TO OASIS SCHOLARSHIP SITE AND THEN YOU CLICK ON RIGHT SIDE ( FORGOT USER-ID & PASSWORD ) AND THEN YOU SHOW A PAGE AND THEN JUST FILL YOUR DISTRICT AND BANK ACCOUNT NUMBER AND THEN CLICK GENERATE ACKNOWLEDGE. I am applying for post graduation diploma scholarship for SC. But I did not submit form till now as last date is written as 12.12.16. But I saw another date as it mentioned in 1st page for last date of submission of application form ie 30th Nov,16. Then can I submit my form now? Please mention last date for submission correctly. I submitted my dwo scholarship form with all needed documents by post office with AD form with registration. But today I recived a message on my mobile from dwo office. It says that please submit your form although I already submitted my form. Please say what I can do now. My district is Kolkata. My status shows your application is verified by district and sanctioned by state. I do not understand the lot no and I still do not get my money. My application id is mh201617001884645. My application is verified but here the problem is that my name on document is changed. There were mistake in my name. If you want a proof ,then I will give you. I am poor and I need scholarship. I request you to give me scholarship. I hope you will reply me. My application/user id is WB0102081913. I completed BA 2nd YEAR but my application status is verified by dist and state and successful lot number. Please give me my scholarship amount, because I am very poor. Please tell me when I will receive my scholarship amount. I can’t get my scholarship though sanctioned finale by the state. I really want to know when I will get my scholarship amount. I don’t get my stipend in the 2015-2016 year and when I check my application status there shows my application approved. This year I had renewed my application. It is shown that I got my stipend Rs.5400. I did not received my scholarship money till now for session 2015 -16. My Application /user id is WB010213155888. Status :Your Application is verified by district and sanctioned by state. (Lot No:-5006/BCWDS Dt:09/08/2016/ District:-Jalpaiguri )”. I already linked my aadhaar card no with my bank account. I am seeing this status but I can not receive my scholarship money. When will I get my scholarship? My Application /user id is WB01021852058. Status :Your Application is verified by district and sanctioned by state. (Lot No:-5029/BCWDS Dt:16/8/2016/1 / District:-KOLKATA)”. I already linked my adhaar card no with my bank account. I am seeing this status but I can not receive my scholarship money. When will I get my scholarship? My I’d is	WB01020124853. My online status is showing Your Application is verified by district and sanctioned by state. Lot No:-5029/BCWDS Dated-16.8.2016/1/1 / District:-NORTH 24 PARGANAS, but still I can’t get my money ,and my bank says that my account is kyc updated not need to link up adhaar card. Please send my money. I really need it. Status: Your application is verified by district and sanctioned by state. (Lot no:5029/BCWDS/BDN/15-16/district:Bardhaman). But still I can not get my scholarship money. Please send my money as soon as possible. My application /user Id is WB0102125179 pending at state level. Please update my status and send my money. Now I am b.ed student but I can not get my stipend. Please send my scholarship. I got no money in previous year. My user ID is WB01010186689 and Password is 42648. My account number is 1151010204354. I cannot get my scholarship till now. I am poor student. So it is needed for my next study preparation. Kindly provide me my scholarship. My application/ user ID is WB01021014307. First you call in oasis helpline number- 8420023311/8274050025. Then request them to unlock your application & fill the form with correct information then submit it. I submitted my application from on previous year 2015 but I did not still get my scholarship money on my account. I got my first scholarship on same accounts but I did not get 2nd scholarships amount . Please help me about this problem as soon as possible. I was given application form no as below. We are the students of The new horizon’s institute of technology and also we are belong in SC ,st and obc category. Last yr we applied the government oasis scholarship and we got the money. BUT IN THIS YEAR WHEN WE GO TO APPLY THE RENEWAL THEN WE SEE THAT OUR COLLEGE NAME IS NOIT HERE. We are requesting you to solve this problem fruitfully. DATE-10.03.2016/1/ District:-MURSHIDABAD)”. I already linked my adhaar card no with my bank account. From one year six months ago I am seeing this status but I can not receive my scholarship money. When will I get my scholarship? Status : Your application is verified by district and sanctioned by state. I am not getting my lot no for the session of 2015-16. Kindly tell me what could have happened to my application. I did not take my BA 3rd year scholarship. My application id is WB01020580987 in 2015-16 section. The online shows my application rejected by Chakdaha black level. But my application is correct and my friend applied same process. He get his scholarship. Please give my scholarship. Our family is so poor. What are you doing from one year? You all need to understand that scholarship money is provided to help the students. But here you are doing them hopeless. We know there were some other issues as the time. But need to maintain those lacked times. Every student is waiting for his scholarship money that is why he can study for his purpose situations. I’m very sorry to say that type of comments. My user id is WB01020580987 and scholarship applied for post matric b.a (3rd) year in 2014-15 session. But I did not get my scholarship. Online status shows as my scholarship reject by Chakdaha block level. But my friends is applied by same label and he get his scholarship. My family is so poor. Please you give me this scholarship. I am from west Bengal. I am in obc b category. I completed my b.sc course from West Bengal. But I am applying m.sc course in Chattisgarh Bilaspur. Can I get OBC stipend? I do not received my scholarship till now for session 2015-16. Please help me since we belong to poor family. I DON’T GET MY SCHOLARSHIP ABOUT THREE (3 YEARS) YEARS. I DON’T KNOW WHY. ALL MY DOCUMENTS ARE CORRECT & ALL MY APPLICATION FORMS ARE CORRECTLY SUBMITTED BY ME IN D.W.O OFFICE ,EVEN 3 TIMES MY SCHOLARSHIPS ARE SANCTIONED BUT I DON’T GET MY 3 YEARS SCHOLARSHIP MONEY. I DON’T KNOW WHO EAT MY SCHOLARSHIP MONEY LIKE A HUNGRY DOG! SO NOW I BELIEVE THAT ACTUALLY THERE IS NO ADVANTAGE FOR SC/ST/OBC STUDENT’S. My aadhaar card has so many mistakes like name & dob. So bank does not take this. My aadhaar no does not linked up to bank account no. Can I get the scholarship? but I have not received money still now. My bank name is Bank of India and a/c no is 421010110012937. I belong to a poor family and this money helps me partially for my study. So please send me scholarship amount. I filled the renewal form and while submitting the application the browser took a long time to submit and that the connection error was their due to which my mobile no, caste certificate no , bank account no and annual income of parents all are shown 0(zero). I don’t know what to do. Please help me. MY LOT NUMBER IS 5021 BUT SCHOLARSHIP AMOUNT NOT RECEIVED IN MY BANK ACCOUNT. PLEASE SEND MY SCHOLARSHIP AMOUNT ON MY BANK ACCOUNT. Before I check my status was shown that your application is verified by district and your lot no is 5016. But now when I check my status is is shown that your lot no is waiting. My application ID is WB030207143575 and I am a student of mechanical engineering (production). I didn’t get my scholarship till now. Please send my scholarship soon. When I track an application , it shows status “your application is verified by disbursement”. Kindly inform me as soon as possible what should I do ? Till now I did not get that. So , please send me my scholarship money. I am a student of Uluberia college read 2nd year B.sc(pure science) Calcutta university. Now I did not get my 1st result. Can I apply my H.S result to submitted my education qualified? How can I get Scholarship? I am student of Kalyani Mahavidyalaya at Nadia district. My application number is WB010205191889. My Lot number issued and my lot number is 5029BCWDSDT16082016 but I don’t get my money. I am a b.tech 4th year student of St. Marys group of institution ,Hyderabad. My application id is WB030217254609(new application). I am studying out side of west Bengal. While I am going to fill the online application form I am not getting any option to select or type my institution name. Please help earlier. My id no is WB010206197109 and saw the status as your application is verified by district and awaiting for disbursement. My application number is WB01020723650 and applied district is Bardhaman (W.B). Presently, I am in final year of B.Tech course and studying out of state. My application is verified by district and waiting for lot number since last 7 or 8 months or even more for the session 2015-16. On contacting the district office they even don’t answer clearly. Studying out of state is it possible for me to visit the district office every time for these queries? The renewal of application for the new session has started but still my application for post matric SC scholarship is waiting for lot number in status. Please help me out with this situation by telling me when the application will be sanctioned (at least the approx month)? Please reply soon. It’s important for me to know!! I am not getting my scholarship amount. Please give me my Scholarship amount because I am very Poor Family. My reg no is WB010204298672. My loan was sanctioned by state by lot no 5021/BCWDS and the authority of the south 24 pgs (Alipore) said they sent the money to my bank account but I cant get my money even after my bank account is cleared. My Application Id is WB010210132813. According to site,my application is verified by district and sanction by state. But I didn’t get my scholarship amount till now. Can you please help me to get my scholarship? I had applied for the scholarship in 2014 and it has been verified by the district but it is still waiting for the reimbursement. Kindly help me in this issue asap. My application id is WB01020134672. According to site, my application is verified by district and sanctioned by state. and my family don’t represent schedule caste of Assam. We are Rajbanshi SC of WB and now from which state I can apply for the scholarship and I also studied in Assam since birth. My application id is WB01022051442. I check status. It is shown that verified and sanctions by state. My friend already get scholarship and I can’t get till now even we both are submitted the form together. When I will get? I also cont to the office they cant informe properly I also call head office why we student are harassed. Its very important to us. My application id is WB030207121789. 6 months ago check the status. That status is declare district waiting for lot number. So now I track the scholarship. There is no change. Please solve that problem and kindly get the scholarship. Till now I have not received my SC scholarship. In the status it is mentioned that my application is verified and sanctioned. But then also I have not received my SC scholarship. Please tell me when will I get my SC scholarship.. My regular no.- WB0102037432. District – Howrah. Caste certificate no.- 42880. Lot no.-5001/BCWDS. But my scholarship give no money. Please send my scholarship money. Because I have no money and I did not buy the book. My Registration No. is WB010104219445. It is verified by District and sanctioned by State which Lot No.5035/BCWDS DATED 10.09.2015(PR-SC)/1/1 District:South 24 Parganas. But we yet to receive money. Please check and solve this problem. I applied scholarship but why I don’t know, my formalities are pending. Do something. Please give my scholarship money. I can not get money. Status= YOUR application is verified by district and waiting for lot number. Status-verified by dic waiting for lot no. Please any body help me. I can not get my scholarship. I am reading in class XI. I apply scholarship form my class- Group II ( M.F.A 1st year) saved, but information were wrong. My application/user id is WBO30206198202. I am studying now b.ed 2nd sem completed but my application status is verified by dist and state and successful lot number. Please give me my scholarship amount, because I am very poor family. Please tell me when will I receive my scholarship amount? Request :let me know when I shall get my scholarship amount. I applied from NADIA district, and I already got the stipend 9300/- for 2 two years. But this year I got 3500/-, why? Is there any problem? and what about the contact numbers that shows on the oasis web site? That numbers always says busy tune. Kindly take some action. My user id is WB04020527914. AND it is verified by the district and state level also. The amount 3500 has reached. Why it’s too low. That time when I applied, I know that the min amount is 9300 and max is 14000. So why it’s too low? Take some action. or send me the proper contact number for my application query. I am student of B.A 2nd year. I do not get scholarship of this academic year and I can not check the lot No. for oasis server problem. I am very poor family. Please see the problems and solve it. My application/user ID is WB010209769410 . Would you tell me why UCO bank and syndicate bank is not paying obc scholarship money. From two years those who were belonged this bank they does not get scholarship. Why? Please take a necessary step for payment of these two banks. I am a student of BCA second years of Tamralipta Institution Of Management & Technology(Purba Medinipur) college code – 212. I can’t get my scholarship. Please send my scholarship because I need to pay my semester fees. Last year I got Rs3500 instead of 10000. I went to the district office Alipore. I AM NOT GETTING MY SCHOLARSHIP. IT SHOWS MY APPLICATIONS IS VERIFIED AND WAITING FOR LOT NUMBER. PLEASE HELP ME TO GET MY SCHOLARSHIP. I am a student of b.tech third year. Last year I applied for the scholarship but till now I did not get that. It’s an emergency because I have to pay my college fee. When I am logging in with my user id and password , it shows ” your applications is verified and waiting for lot number”. Kindly inform me as soon as possible what should I do? and what is lot number? My application Number is WB0102032229. I cannot get my scholarship. Please help me to get the scholarship. The status of my application is that it is waiting for its LOT no. But it is shown same from many many days. So I notify me about the current status of my application. I will be grateful to you if you help me to get the scholarship amount. My application User id is WB010217156261. My application is verified by district and waiting for disbursement,but still now not credited my Scholarship amount in my Bank Account. My application no is WB03021083695 and Password is 39698. I apply for Post Matric scholarship Dist-Hooghly. My application states is Verified by district and waiting for lot no. 04 Months same status show. Session : 2015-16. Please solve my problem and send me scholarship. Because my financial condition is very poor. I am a student of 3 year LL.B Course, in ICSS College, Bhadrak, Odisha. I have applied for Scholarship before the Authority from the District of Paschim Midnapur. My user ID is WB040211130899. The application status is – Verified by District and Sanctioned by State. Lot No :- 5022/BCWDS Dt. 24.07.2015. But I did not received any scholarship money yet. I want to know that when should be clear the mentioned Lot no. against the said application???? Online verification is open for BINPUR-II Block in Paschim Medinipur District upto 10.06.2016. My application id is WB0102183675. My status is ” application is verified by district and and waiting for lot number” for past 2-3 months. When will I get my scholarship? Online application for SC/ ST Post matric for Nadia district for the session of 2015 – 2016 is extended up to 11.03.2016.